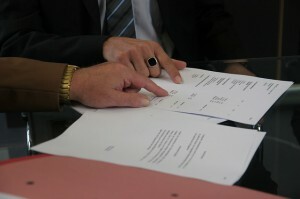 You may assume that you should use a last will to state your final wishes for your asset. It can seem like the simplest estate planning document so it is natural to think that assets would be distributed right after your death if you use a will. While this may seem logical, things actually take place slowly when you use a will as a vehicle of asset transfer. The executor or personal representative would be required to admit the will to probate after you pass away, and the inheritors would not receive anything while the process was underway. Final debts would be paid during probate, so the executor would be required to contact creditors, and they would be given a certain amount of time to come forward. Property liquidation can also be required, and this can also be time-consuming. In most areas, probate will take somewhere in the vicinity of eight or nine months to a year in simple, straightforward cases. 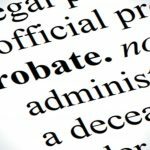 Probate enters the picture when you are in direct personal possession of property when you die. As we mentioned previously, it would be a factor if you use a will to transfer your personal property, and it would come into play if you died while in possession of personal property with no estate planning documents at all. However, there are some types of asset transfers that take place outside of the probate process. Let’s look at a few them. When you take out a life insurance policy on your own life, you name a beneficiary. After you die, the company that you purchased the policy from would pay the beneficiary directly. This transaction would not be subject to the process of probate. You can open up a payable on death account at a brokerage or bank. These accounts are sometimes called transfer on death accounts. To a large extent, the purpose of this type of account is self-explanatory. Upon the death of the account holder, the assets that remain in the account are payable to the beneficiary that was named on the account. This type of transfer would take place outside of probate. If you own property, you can add a joint tenant to the title or deed. This would be a co-owner of the property. After you die, the surviving joint tenant would inherit the entire property, and the probate process would not be a factor. But there can be significant drawbacks to this type of ownership depending on your circumstances. Property that is held in a trust such as a revocable living trust can be transferred outside of probate. With a revocable living trust, the person creating the trust maintains control of the assets while he or she is living. The trust maker or grantor can act as the trustee and the beneficiary initially, and the grantor can revoke or rescind the trust at any time. 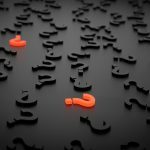 The grantor would name a successor trustee in the trust declaration. 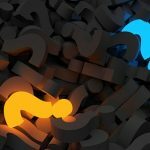 After the death of the grantor, the successor trustee would be able to distribute assets to the successor beneficiaries outside of the process of probate. A living trust can provide a number of different advantages. One of them is the ability to include a spendthrift provision. After you pass away, the trust would become irrevocable, and there would be a level of asset protection for the beneficiaries. Plus, you can instruct the successor trustee not to distribute all the property in the trust in lump sums. 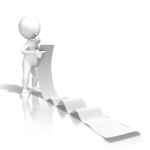 You could allow for measured distributions over an extended period of time. It is also possible to account for latter life incapacity if you decide to use a living trust. Many elders become unable to handle their own financial affairs at some point in time so you can empower the successor trustee to administer the trust if you ever become incapacitated. 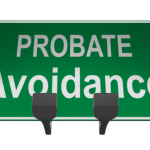 There are other types of trusts that can facilitate probate avoidance while simultaneously satisfying other objectives. 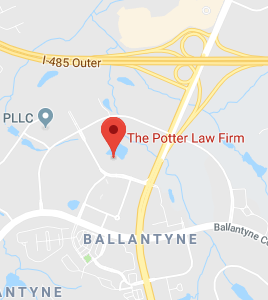 We do everything we can to pass along useful information on our website, but there is really no substitute for a real-life interaction with a licensed estate planning attorney. During the coming months, we will be offering a series of seminars that will provide you with a great deal of useful information. The seminars are free to attend, but they do fill up so we ask that you register in advance. To obtain details and registration information, visit our seminar schedule page.